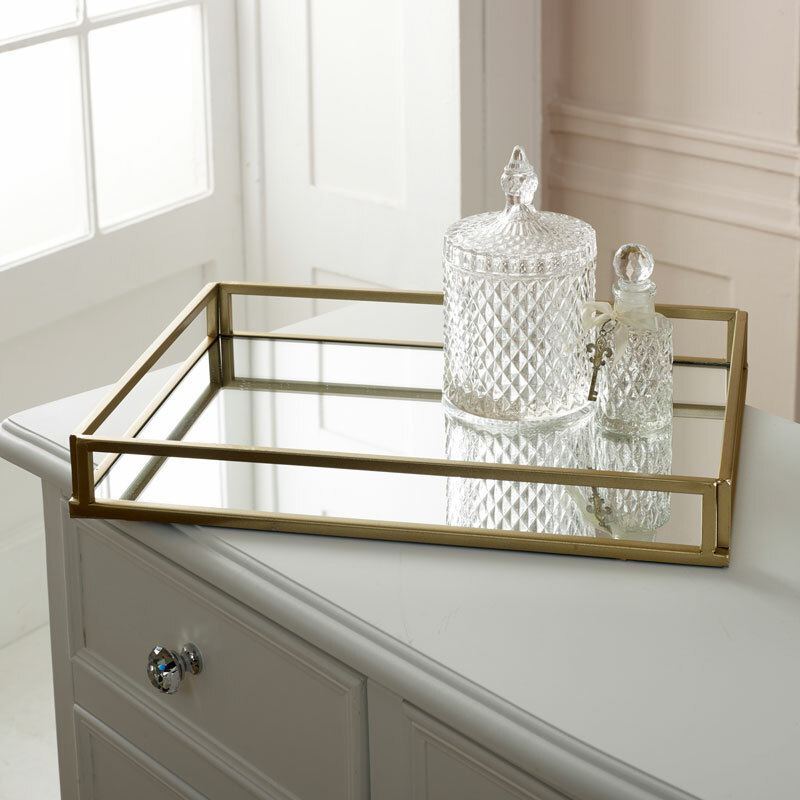 Large rectangle mirrored cocktail serving tray. Perfect for the luxe style home decor. With more mirrored trays available in various colours and sizes. Rectangle gold metal frame with mirrored surface. Ideal serving tray or can be used for displaying perfumes and candles in vintage, luxurious style. A great look for any home and would be perfect for use in a retail environment. 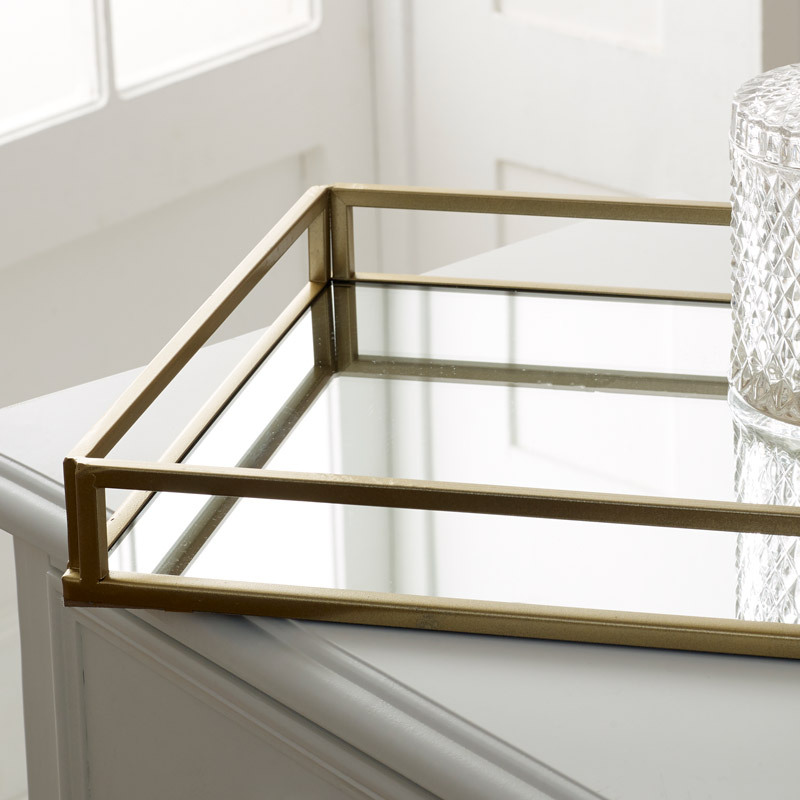 Large rectangle mirrored cocktail serving tray. Perfect for the luxe style home decor. With more mirrored trays available in various colours and sizes. Rectangle gold metal frame with mirrored surface. Ideal serving tray or can be used for displaying perfumes and candles in vintage, luxurious style. A great look for any home and would be perfect for use in a retail environment. Made from metal with a gold finish metal frame and large rectangle mirrored surface. The tray measures 51cm x 10cm x 40cm (Width x Height x Depth). If you're looking to add a little more elegance to your decor or completely change your home style, you've come to the right place. We have an astounding range of gifts and home accessories that will allow you to furnish your home with love and add that uniquely personal touch.